Australia has a remarkable avifauna. Of the 760 species, around 240 are endemic, making this country second only to New Guinea in terms of avian endemism. 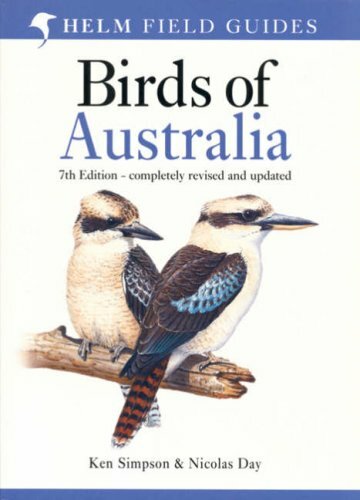 This field guide, now in its seventh edition, has long been the standard reference for the birds of Australia, and this edition has been extensively revised and updated. There are 20 new plates, and a new distribution map for each species showing subspecies distribution where appropriate. Over 1000 black and white illustrations, many new or redrawn, illustrate behaviours, flight silhouettes, detailed comparisons between related species and other useful identification pointers. This classic work has sold over 400,000 copies in its lifetime, and remains the definitive guide for this country.